In today’s world, many couples are delaying pregnancy well into their late 30’s. The problem is that women over the age of 35 find it more challenging to get pregnant. Usually after 6-12 months of unsuccessful attempts, pregnancy patients will start seeking fertility care. “Ovarian Reserve” is a medical term used to describe how good a woman’s eggs are. Fertility patients undergo tests to find out more about this reserve. One of these tests is called the “Anti-mullarian hormone” (AMH) test which measures how strong the reserve is. If the number is low, patients are considered to be infertile. Sadly, many patients with very low AMH counts are told they will never get pregnant. They are encouraged to use egg donors right off the bat. The good news is that these struggling couples may not be as fruitless as they seem. Experts suggest that they may find help in alternative techniques. Peyman Saadat, M.D., Medical Director of the Reproductive Fertility Center (RFC) in Beverly Hills, shares about the benefits of dietary changes, acupuncture, and supplements. “We have had success in pregnancies with patients who have had undetectable AMH on two different occasions,” says Sadaat. Using a more integrative medicine approach, these successes have occurred as recently as last month. Longevity Herbs founder and licensed acupuncturist, Bryan R Abel, has been a long time practitioner of alternative medicine. He treats fertility patients at his Pacific Palisades office and offers unique, potent supplements to aid with the pregnancy process. Some of his most popular blends are the Iron Complex Complete, CoQ10, and Adaptogen Blend. With the help of this holistic approach, many of his clients achieve the pregnancy they never thought was possible. 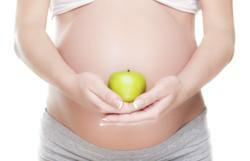 For more information on Longevity Herbs and products to support healthy pregnancy, visit http://www.LongevityHerbs.com or phone (888) 245-0718. -- Based on a true-life account of a woman's discovery of infertility at the age of 35. This is a compelling roller-coaster insight to the world of IVF exposing treatments and emotions over a nine year span. Written with humor on such a dark and taboo subject of pregnancy loss and infertility this honest account is directed to the many across the world in a similar predicament.